We are a non-denominational group run by a volunteer Board of Directors. Some board members are appointed by our sustaining donors, and the rest are simply caring members of the community that have become members of the society. 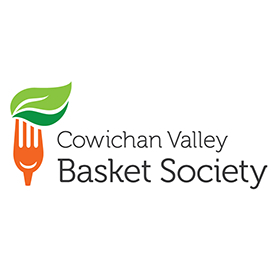 The Basket was started in 1988 by a broadly based group of Cowichan Valley residents who saw a great need for a coordinated answer to hunger in the area. The first premises was opened on Evans Street. From there we have made several moves but our current home on Garden Street will, we trust, be our permanent home as we purchased the property in December 2001. Ensuring no individual or family in the Cowichan Valley goes hungry either physically, spiritually or emotionally. We have a Food Bank.